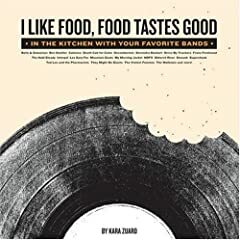 I Like Food, Food Tastes Good: In the Kitchen With Your Favorite Bands is a new food book featuring some tasty recipes from your favorite indie bands including Nada Surf, matt pond PA, They Might Be Giants, The Hold Steady and more. This actually looks pretty cool, it’s on my Amazon favorites, buy it for me. So why Himmler? Heinrich Himmler was a prominent member of the Nazi party and primarily responsible for the entire Holocaust (as organizer). The “Himmler” on his story is that the British captured him but committed suicide before he could be put on trial at Nuremberg.